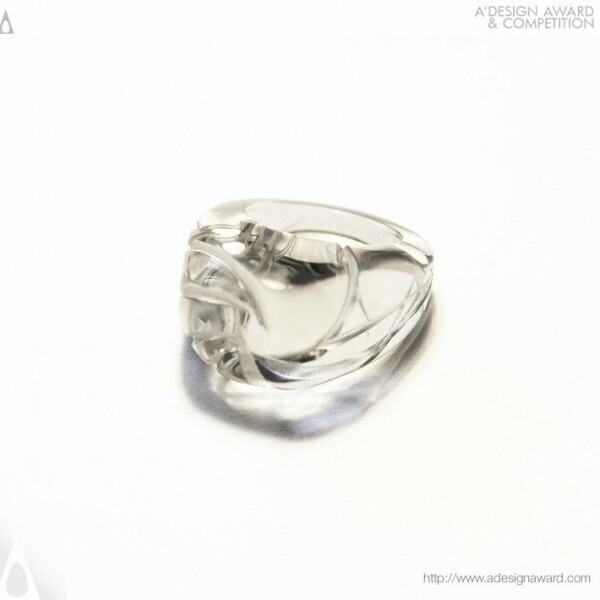 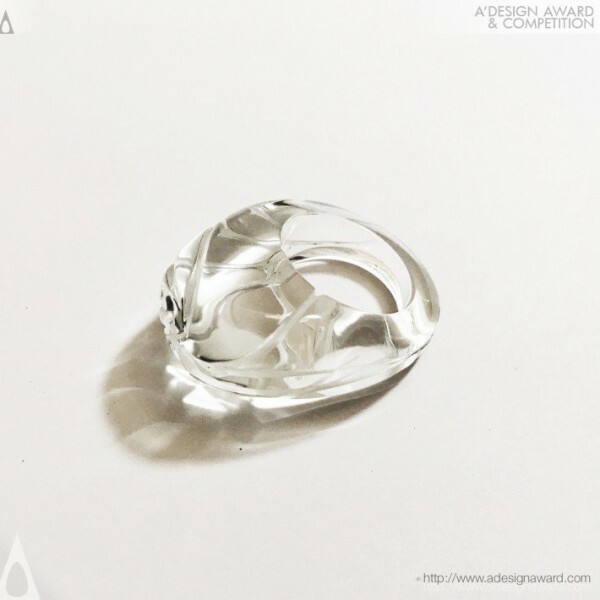 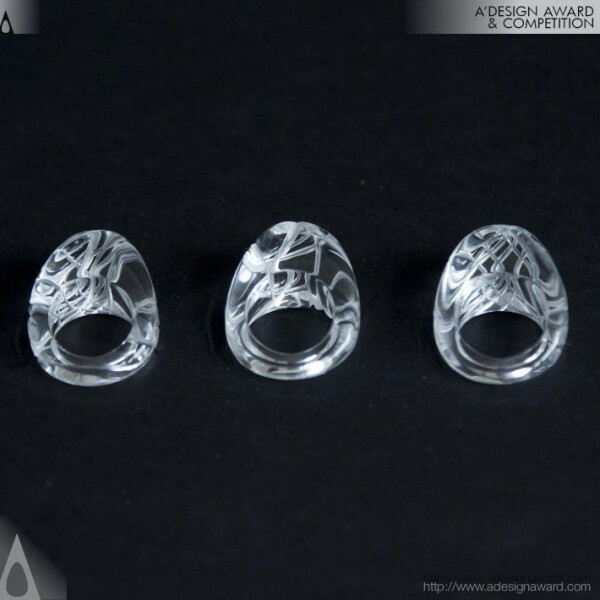 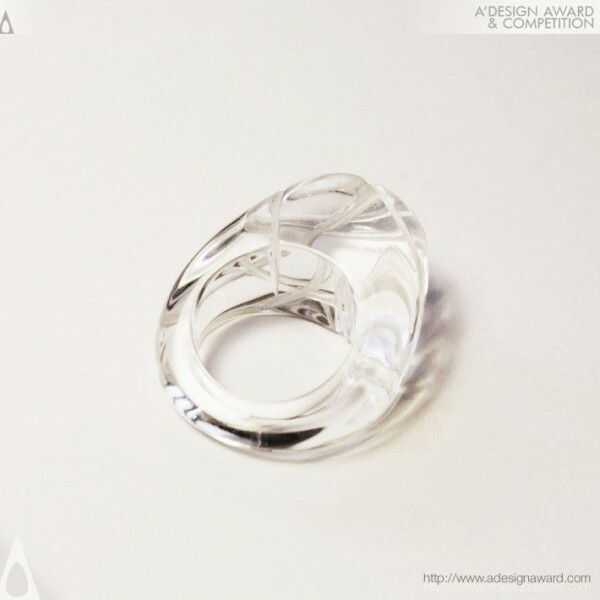 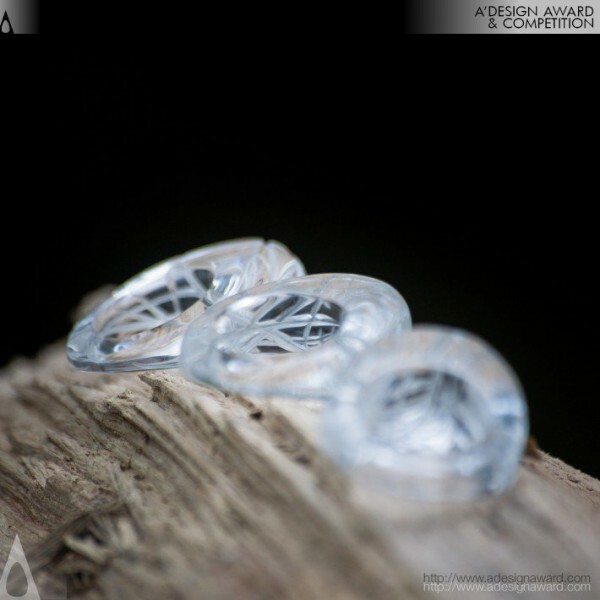 Viviana Arn, the designer of the awarded work Reflections - Ring by Viviana Arn says, The reflections are created by the shape of the ring itself and by the unique signs that mark its surface. This ring is part of a collection, in which each ring is made with the same base shape, but, being done by hand, marked with personalized signs, and being worn in different places, these pieces are unique, even in each moment they are worn because of their interaction with lights and colors of what surrounding them. 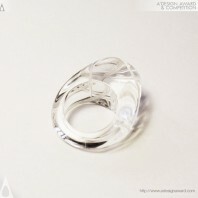 This collection will remember people that everyone is unique, and emphasize this uniqueness with a series of unique pieces..